Oh boy, did I save the best until last! Partly it was because this kit was not available at the same time that the catalogue went live, so I had to keep my fingers crossed that I would get mine in time to build, photograph and share with you. But it’s definitely a super kit. 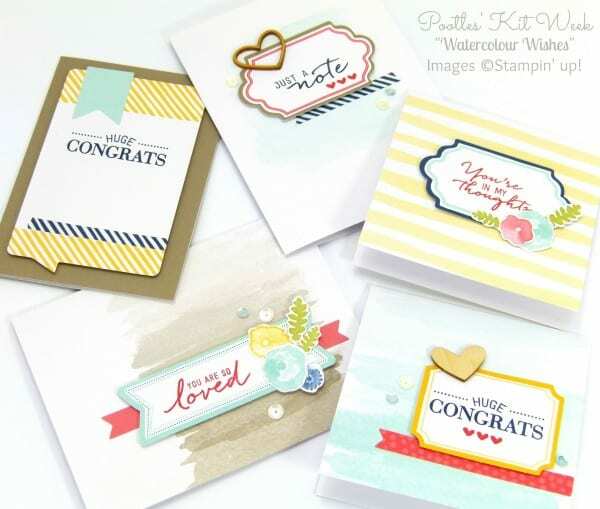 This kit comes with not just the cards and elements, but the stamps too and a clear block. 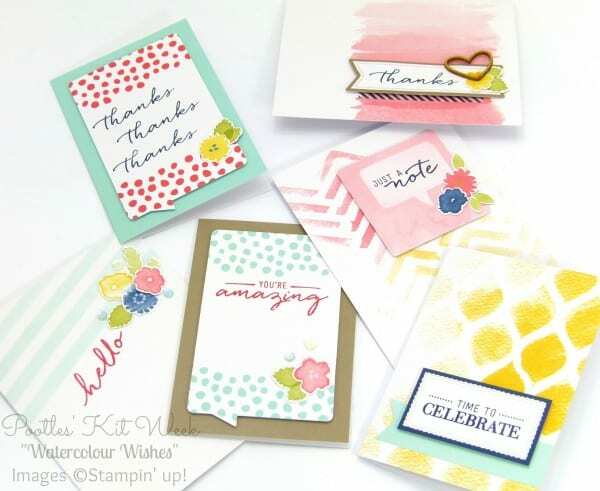 I will be honest and say that I am not overly keen on these skinny things, I much prefer our chunky clear blocks, so if this is your first Stampin’ Up! purchase, please know, our acrylic blocks are fabulous…! Anyway, I hope you enjoy today’s video! « Pootles Kit Week #6 – All Boxed Up Kit! Sam I really liked this week with you showing the different kits, thank you. And the last one is on my wishlist tooooo!! I’m glad you showed the kits. I really don’t like some of them, but this was a nice one. 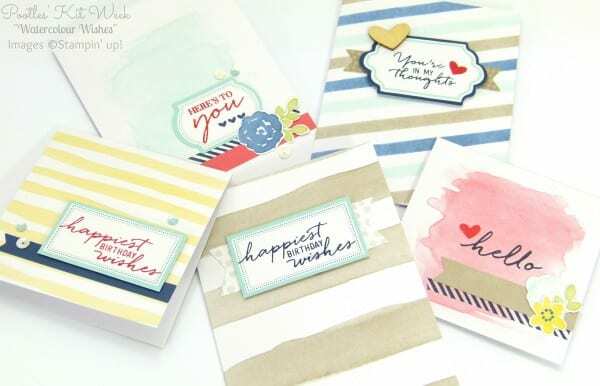 The cards in this kit just scream “summer!” As I have been making each of the cards in this kit I am having fun making a duplicate card using my own watercolor brushes, and similar supplies, punches, and embellishments to come as close as possible to the original designs.